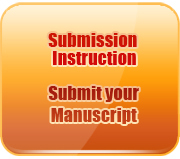 Frontiers of Agricultural Science and Engineering has been added to Directory of Open Access Journals (DOAJ) on September 12, 2016. The central concept of precision agriculture is to manage within-field soil and crop growth variability for more efficient use of farming inputs. Remote sensing has been an integral part of precision agriculture since the farming technology started developing in the mid to late 1980s. 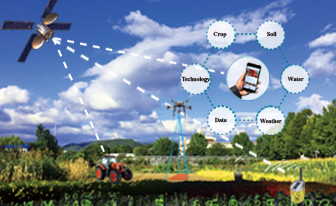 Various types of remote sensors carried on ground-based platforms, manned aircraft, satellites, and more recently, unmanned aircraft have been used for precision agriculture applications. Original satellite sensors, such as Landsat and SPOT, have commonly been used for agricultural applications over large geographic areas since the 1970s, but they have limited use for precision agriculture because of their relatively coarse spatial resolution and long revisit time. Recent developments in high resolution satellite sensors have significantly narrowed the gap in spatial resolution between satellite imagery and airborne imagery. Since the first high resolution satellite sensor IKONOS was launched in 1999, numerous commercial high resolution satellite sensors have become available. These imaging sensors not only provide images with high spatial resolution, but can also repeatedly view the same target area. The high revisit frequency and fast data turnaround time, combined with their relatively large aerial coverage, make high resolution satellite sensors attractive for many applications, including precision agriculture. This article will provide an overview of commercially available high resolution satellite sensors that have been used or have potential for precision agriculture. The applications of these sensors for precision agriculture are reviewed and application examples based on the studies conducted by the author and his collaborators are provided to illustrate how high resolution satellite imagery has been used for crop identification, crop yield variability mapping and pest management. Some challenges and future directions on the use of high resolution satellite sensors and other types of remote sensors for precision agriculture are discussed. Phenomics studies a variety of phenotypic plant traits and is the key to understanding genetic functions and environmental effects on plants. With the rapid development of genomics, many plant phenotyping platforms have been developed to study complex traits related to the growth, yield, and adaptation to biotic or abiotic stress, but the ability to acquire high-throughput phenotypic data has become the bottleneck in the study of plant genomics. In recent years, researchers around the world have conducted extensive experiments and research on high-throughput, image-based phenotyping techniques, including visible light imaging, fluorescence imaging, thermal imaging, spectral imaging, stereo imaging, and tomographic imaging. This paper considers imaging technologies developed in recent years for high-throughput phenotyping, reviews applications of these technologies in detecting and measuring plant morphological, physiological, and pathological traits, and compares their advantages and limitations. Various process-based models are extensively being used to analyze and forecast catchment hydrology and water quality. However, it is always important to select the appropriate hydrological and water quality modeling tools to predict and analyze the watershed and also consider their strengths and weaknesses. Different factors such as data availability, hydrological, hydraulic, and water quality processes and their desired level of complexity are crucial for selecting a plausible modeling tool. This review is focused on suitable model selection with a focus on desired hydrological, hydraulic and water quality processes (nitrogen fate and transport in surface, subsurface and groundwater bodies) by keeping in view the typical lowland catchments with intensive agricultural land use, higher groundwater tables, and decreased retention times due to the provision of artificial drainage. In this study, four different physically based, partially and fully distributed integrated water modeling tools, SWAT (soil and water assessment tool), SWIM (soil and water integrated model), HSPF (hydrological simulation program– FORTRAN) and a combination of tools from DHI (MIKE SHE coupled with MIKE 11 and ECO Lab), have been reviewed particularly for the Tollense River catchment located in North-eastern Germany. DHI combined tools and SWAT were more suitable for simulating the desired hydrological processes, but in the case of river hydraulics and water quality, the DHI family of tools has an edge due to their integrated coupling between MIKE SHE, MIKE 11 and ECO Lab. In case of SWAT, it needs to be coupled with another tool to model the hydraulics in the Tollense River as SWAT does not include backwater effects and provision of control structures. However, both SWAT and DHI tools are more data demanding in comparison to SWIM and HSPF. For studying nitrogen fate and transport in unsaturated, saturated, and river zone, HSPF was a better model to simulate the desired nitrogen transformation and transport processes. However, for nitrogen dynamics and transformations in shallow streams, ECO Lab had an edge due its flexibility for inclusion of user-desired water quality parameters and processes. In the case of SWIM, most of the input data and governing equations are similar to SWAT but it does not include water bodies (ponds and lakes), wetlands and drainage systems. In this review, only the processes that were needed to simulate the Tollense River catchment were considered, however the resulted model selection criteria can be generalized to other lowland catchments in Australia, North-western Europe and North America with similar complexity. Dividing fields into a few relatively homogeneous management zones (MZs) is a practical and cost-effective approach to precision agriculture. There are three basic approaches to MZ delineation using soil and/or landscape properties, yield information, and both sources of information. The objective of this study is to propose an integrated approach to delineating site-specific MZ using relative elevation, organic matter, slope, electrical conductivity, yield spatial trend map, and yield temporal stability map (ROSE-YSTTS) and evaluate it against two other approaches using only soil and landscape information (ROSE) or clustering multiple year yield maps (CMYYM). The study was carried out on two no-till corn-soybean rotation fields in eastern Illinois, USA. Two years of nitrogen (N) rate experiments were conducted in Field B to evaluate the delineated MZs for site-specific N management. It was found that in general the ROSE approach was least effective in accounting for crop yield variability (8.0%–9.8%), while the CMYYM approach was least effective in accounting for soil and landscape (8.9%–38.1%), and soil nutrient and pH variability (9.4%–14.5%). The integrated ROSE-YSTTS approach was reasonably effective in accounting for the three sources of variability (38.6%–48.9%, 16.1%–17.3% and 13.2%–18.7% for soil and landscape, nutrient and pH, and yield variability, respectively), being either the best or second best approach. It was also found that the ROSE-YSTTS approach was effective in defining zones with high, medium and low economically optimum N rates. It is concluded that the integrated ROSE-YSTTS approach combining soil, landscape and yield spatial-temporal variability information can overcome the weaknesses of approaches using only soil, landscape or yield information, and is more robust for MZ delineation. It also has the potential for site-specific N management for improved economic returns. More studies are needed to further evaluate their appropriateness for precision N and crop management. A series of air induction nozzles were tested in a high-speed wind tunnel. Droplet size spectra were measured for four air induction nozzles (IDK-120-01, IDK-120-02, IDK-120-03 and IDK-120-04) each at three spray pressures (0.3, 0.4 and 0.5 MPa) and seven different air velocities (121.7, 153.4, 185.5, 218.4, 253.5, 277.5 and 305.5 km·h−1). The measurement distance (0.15, 0.25 and 0.35 m) from the nozzle orifice was found to be important for the atomization of the droplets. The response surface method was used to analyze the experimental data. The results indicated that Dv0.1 and Dv0.5 of the droplets decreased quasi-linearly with increased wind speed, while Dv0.9 was affected by the quadratic of wind speed. Dv0.1, Dv0.5 and Dv0.9 of the droplets were all proportional to the orifice size, and were not markedly influenced by the spray pressure. The percentage of the spray volume consisting of droplets with a diameter below 100 mm (%<100 mm) was found to be quadratically related to wind speed, and was not markedly influenced by the spray pressure and orifice size. However, the effect of the orifice size on the %< 200 mm could not be ignored. Prewetting process can reduce the contact angle between the droplet and the leaf blade, so that the droplet can more easily wet and spread, thereby increasing the quantity of deposition. To improve the effectiveness of pesticides on cotton leaves, prewetting by single-rotor electric unmanned aerial vehicles (UAV) was studied, focusing on the effects of pesticide deposition on cotton leaves during the flowering period. Cotton leaves in 0°–30°, 30°–60°, 60°–90° leaf blade angle ranges (angle between the leaf blade and the horizontal plane) were examined. In the first experiment, four different prewetting volumes (0, 1.6, 3.2 and 4.8 L) were sprayed by a single-rotor electric UAV on four cotton plots (plots A–D) each with an area of 120 m2, and then each area was sprayed with a 0.8% (w/v) ponceau 2R solution by another single-rotor electric UAV. The results revealed that with no prewetting, droplet deposition quantity decreased with increasing leaf blade inclination. After prewetting, the mean droplet deposition quantity on plots B, C and D increased by 39.8%, 9.7% and 24.9%, respectively. The prewetting rate of 1.6 L per 120 m2 had the most significant effect on improving the deposition of droplets. It was also found that the mean droplet deposition quantity in each leaf blade angle range increased after prewetting. For the leaf blade angle range 60°–90°, this increase was the most pronounced, with 0.043, 0.062, 0.057 and 0.048 mL·cm−2 in plots A–D, respectively. Also, droplet deposition uniformity in the leaf blade angle range 60°–90° was better after prewetting. These results should provide a valuable reference for future research and practice to improve the effectiveness of pesticides applied to cotton by aerial applications. Late blight is one of the most important potato diseases. To minimize yield losses, various protective measures are used including fungicide application. Active use of fungicides results in a contamination of the environment. Therefore, crop protection strategies optimizing the number of treatments are of great interest. Using information about late blight development in an experimental potato field recorded over 30 seasons, a simulator to forecast yield losses caused by the disease was developed based on the number of 5-d periods favorable for reinfection of plants during a vegetation season. The simulator was successfully verified using independent data on the disease development from nine unprotected potato fields in the Netherlands and Germany. The average difference between the calculated and real yield losses did not exceed 5%. Using the simulator and weather data for a period of 2007–2017, yield losses were calculated for several areas of the Bryansk, Tambov, and Orenburg Regions of Russia. The results revealed differences in disease development between these regions and may be used to develop recommendations for a frequency of fungicide applications according to the regional risk of epidemics, leading to a significant reduction in fungicide use. In this study, real-time disease monitoring was conducted on onion which is the most representative crop in Republic of Korea, using an image acquisition system newly developed for the mobile measurement of phenotype. The purpose of this study was to improve the accuracy of prediction of disease and state variables by processing images acquired from monitoring. The image acquisition system was consisted of two parts, a motorized driving system and a PTZ (pan, tilt and zoom) camera to take images of the plants. The acquired images were processed as follows. Noise was removed through an image filter and RGB (red, green and blue) colors were converted to HSV (hue, saturation and value), which enabled thresholding of areas with different colors and properties for image binarization by comparing the color of onion leaf with ambient areas. Four objects with the most significant browning in the onion leaf to the naked eye were selected as the samples for data acquired. The thresholding method with image processing was found to be superior to the naked eye in identifying accurate disease areas. In addition, it was found that the incidence of disease was different in each disease area ratio. As a result, the use of image acquisition system in image processing analysis will enable more prompt detection of any changes in the onion and monitoring of disease outbreaks during the crop lifecycle. At an early immature growth stage of citrus, a hyperspectral camera of 369–1042 nm was employed to acquire 30 hyperspectral images in order to detect immature green fruit within citrus trees under natural illumination conditions. First, successive projections algorithm (SPA) were implemented to select 677, 804, 563, 962, and 405 nm wavebands and to construct multispectral images from the original hyperspectral images for further processing. Then, histogram threshold segmentation using NDVI of 804 and 677 nm was implemented to remove image backgrounds. Three slope parameters, calculated from the pairs 405 and 563 nm, 563 and 677 nm, and 804 and 962 nm were used to construct a classifier to identify the potential citrus fruit. Then, a marker-controlled watershed segmentation based on wavelet transform was applied to obtain potential fruit areas. Finally, a green fruit detection model was constructed according to Grey Level Co-occurrence Matrix (GLCM) texture features of the independent areas. Three supervised classifiers, logistic regression, random forest and support vector machine (SVM) were developed using texture features. The detection accuracies were 79%, 75%, and 86% for the logistic regression, random forest, and SVM models, respectively. The developed algorithm showed a great potential for identifying immature green citrus for an early yield estimation. Precision agriculture (PA) technologies have great potential for promoting sustainable intensification of food production, ensuring targeted delivery of agricultural inputs, and hence food security and environmental protection. The benefits of PA technologies are applicable across a broad range of agronomic, environmental and rural socio-economic contexts globally. However, farmer and land-manager adoption in low to middle income countries has typically been slower than that observed in more affluent countries. China is currently engaged in the process of agricultural modernisation to ensure food security for its 1.4 billion population and has developed a portfolio of policies designed to improve food security, while simultaneously promoting environmental protection. Particular attention has been paid to the reduction of agricultural inputs such as fertilisers and pesticides. The widespread adoption of PA technologies across the Chinese agricultural landscape is central to the success of these policies. However, socio-economic and cultural barriers, farm scale, (in particular the prevalence of smaller family farms) and demographic changes in the rural population, (for example, the movement of younger people to the cities) represent barriers to PA adoption across China. A framework for ensuring an acceptable and accelerated PA technology trajectory is proposed which combines systematic understanding of farmer and end-user priorities and preferences for technology design throughout the technology development process, and subsequent end-user requirements for implementation (including demonstration of economic and agronomic benefits, and knowledge transfer). Future research will validate the framework against qualitative and quantitative socio-economic, cultural and agronomic indicators of successful, or otherwise, PA implementation. The results will provide the evidence upon which to develop further policies regarding how to secure sustainable food production and how best to implement PA in China, as well as practical recommendations for optimising end-user uptake.